The Eatventurers visited Sincerity a week after the Chinese New Year. 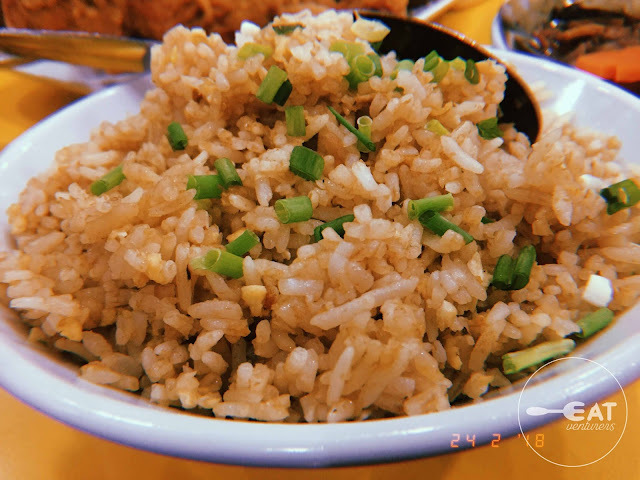 As expected, the simple and unassuming two-storey restaurant in Yuchengco St. is packed with people who want to eat high quality Chinese food without breaking the bank. We ate with the owner, Mr. Peter Uy, who narrated to us the rich history of the family’s business—from its humble beginnings to its status as one of the most well-loved restaurants in Chinatown. 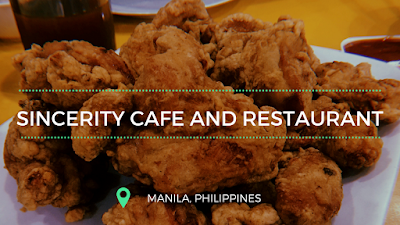 He also showed us that Sincerity has more to offer aside from its much-raved fried chicken. 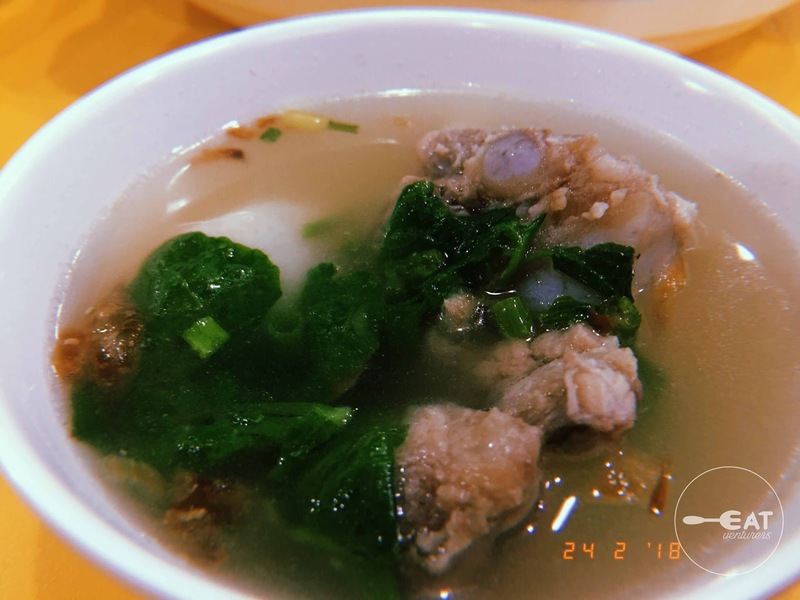 Before indulging yourself with heavy and authentic Chinese meals, set your appetite on a roll with a sip from the spareribs soup. 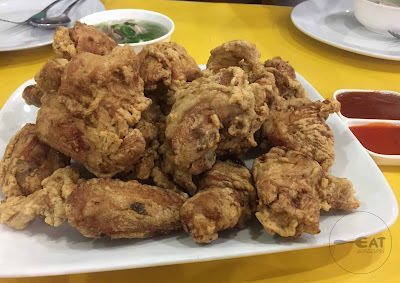 Sincerity Fried Chicken (P160 for half, P320 for whole) is arguably the best tasting fried chicken in Metro Manila, making it the most popular dish from their menu. It does not need gravy or ketchup to accompany the chicken because the flavor seeps all the way from the crunchy skin to the white meat. Mr. Uy told the Eatventurers that they buy chicken meats every day to keep the freshness even when served. He also makes sure that the secret ingredients, which make the meal shouts Sincerity, are not compromised. These, perhaps, are the reasons why their fried chicken leaves a lasting impression that will make you crave for more. Aside from the famous fried chicken, the Oyster Cake (P200 for small, P250 for big) is also a crowd favorite! Although it does not appear appetizing and has a slimy feel, it surprisingly tastes good. But it may not for those who have delicate palate. 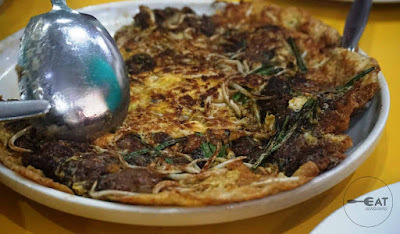 The fried dish is made of generous amount of oysters, sweet potato starch and eggs. 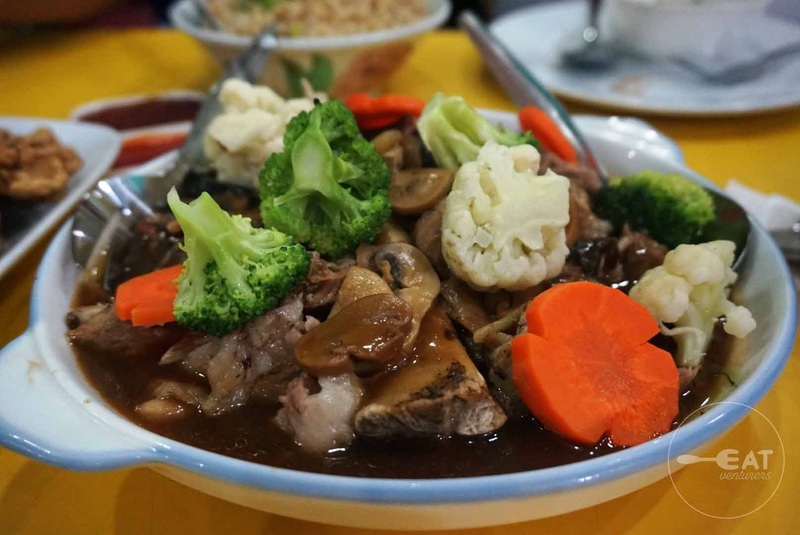 Sincerity Patatim (P540) hits the taste buds right with its mouthwatering flavor. The meat, after hours of slow cooking, is tender and juicy. For a better experience, pair the meat with cuapao instead of rice. The Sweet and Sour Lapu-lapu (P420 for small, P540 for big), on the other hand, tastes like a typical sweet and sour dish. While it is not that spectacular, the fish has some freshness to it. 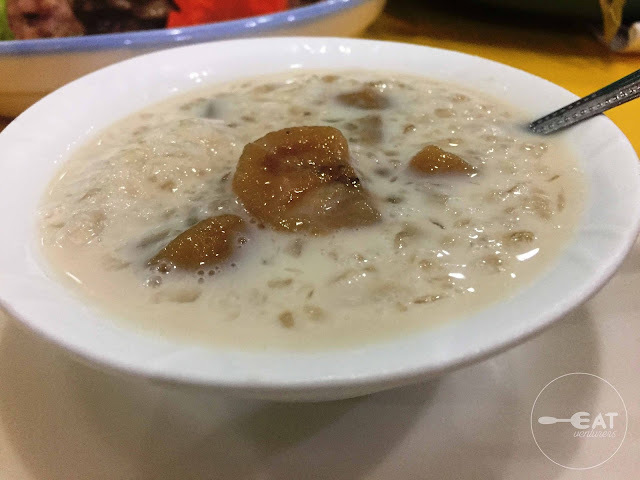 Eight Treasure Machang (P120) is like Spanish paella or typical Filipino suman, only it’s Chinese. 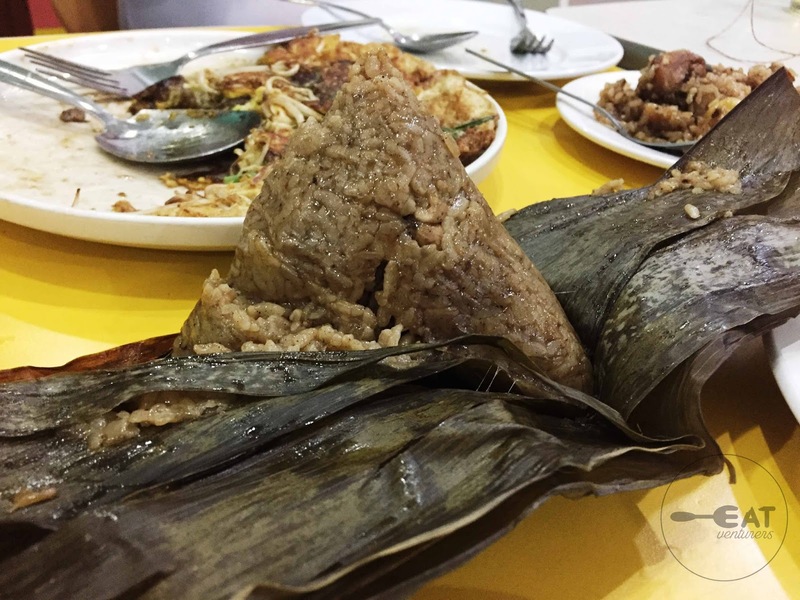 It is sticky rice with several ingredients such as pork, chicken, abalone, chestnut, among others, wrapped in bamboo leaves. 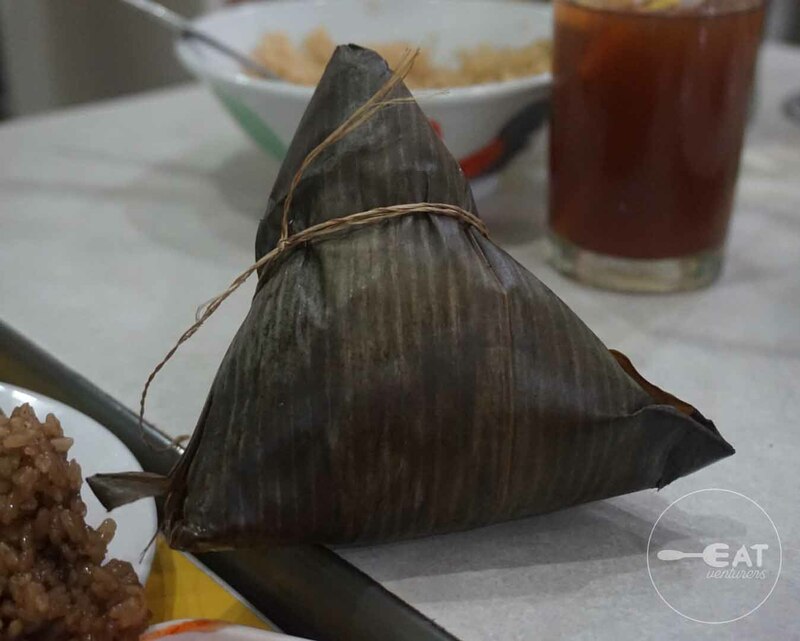 Mr. Uy shared that they travel all the way to La Union to get the bamboo leaves used in their machang. 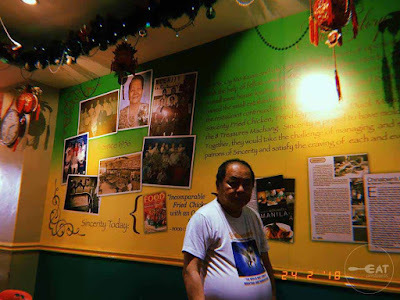 He even shared that it is the favorite dish of businessman Lucio Tan. Sincerity Fried Rice is best paired with the fried chicken, patatim and sweet and sour lapu-lapu. The taste of chorizo is overpowering though. For the dessert, the Eatventurers tried their Saba con Yelo. It has the right amount of sweetness and the pearls are so tiny and cute! What a fitting end to an amazing dining experience. For those who do not want to travel to Binondo to get a taste of the meals that Sincerity has to offer, worry no more because it has branches in Lucky Chinatown Mall, Banawe (Sincere), San Juan (Wu Xiang House of Chicken) and Magnolia. 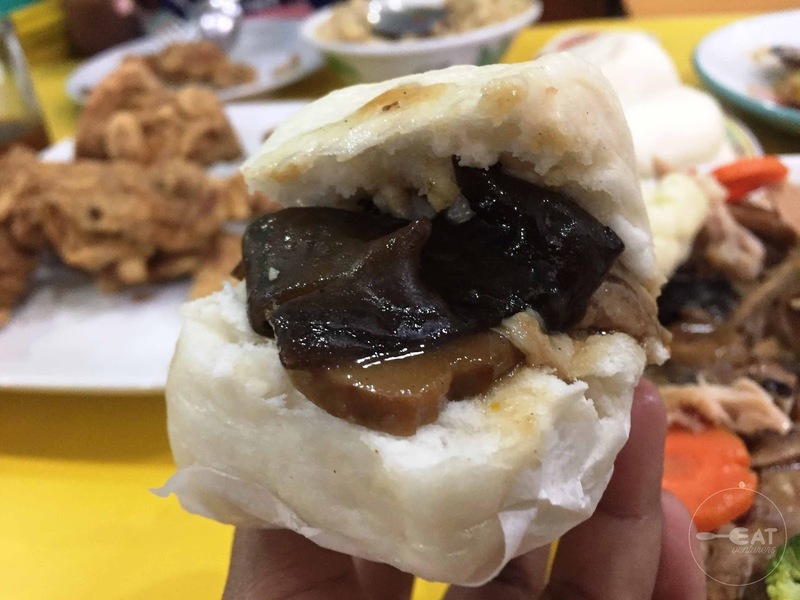 We previously wrote about Sincerity's Lucky Chinatown branch. 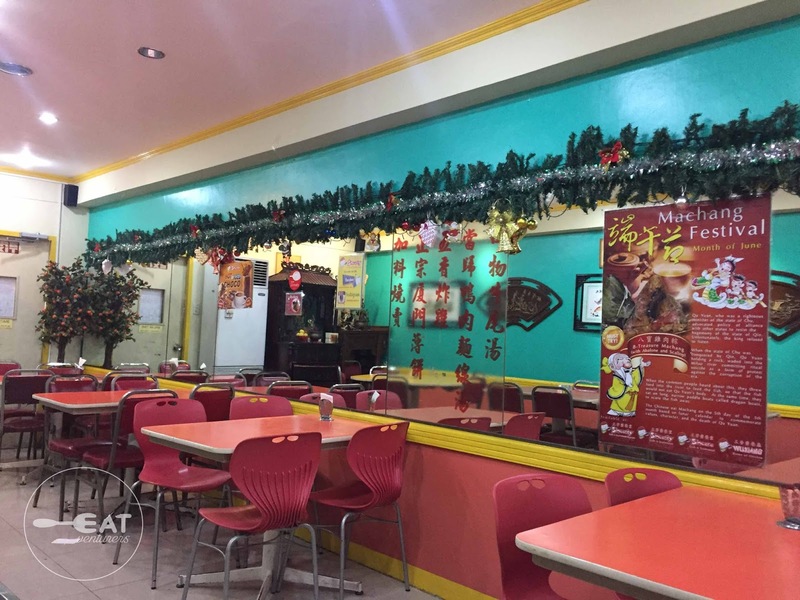 Sincerity Restaurant and Café is indeed one of Binondo’s gems. 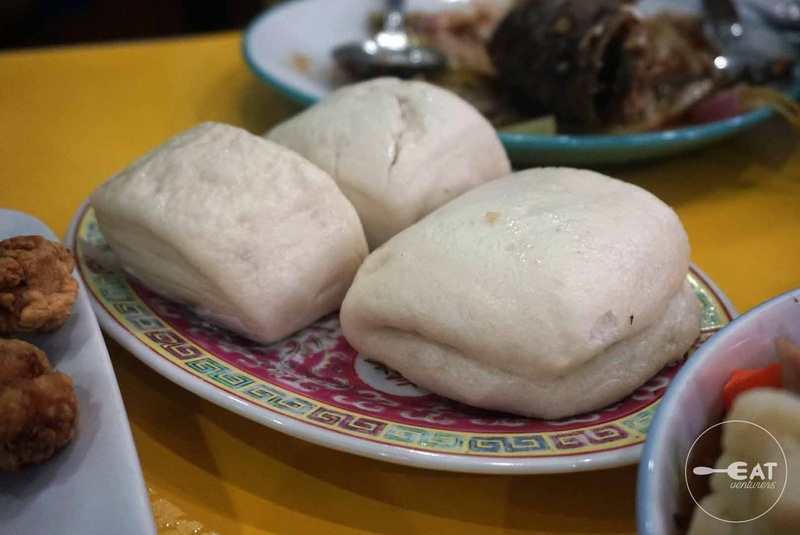 The perseverance of the family to preserve the culture and tradition of giving flavor for over 60 years is still being manifested in the high-quality and authentic dishes that Sincerity is known for.